After four months, I finally got back in a rowing boat today. Complete with oars. Having been unwell last week, I was surprised to find how good I felt after dancing on Friday. 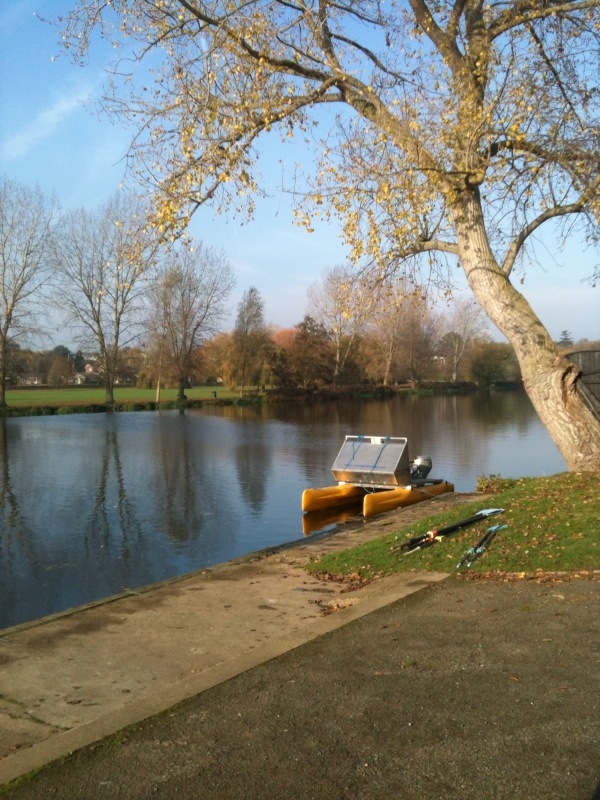 Late yesterday, I decided that today, I would make my way down to the rowing club for their Sunday morning session. The 7.30 alarm was greeted with a pained sigh as an arm reached out from the warmth of the duvet and hit snooze. After ten minutes, I couldn’t put it off anymore and got up, reached for the lycra, warm hooded top and breakfast. Turning up at the club with the overcast sky threatening a drop of rain, I was lacking in happy thoughts, but as I stepped out of the car I was welcomed like a long lost family member. Everyone had plans for crews as they are competing at Star (Bedford) next week and I was expecting a stint on the ergo for my first day back at the club. Instead, three other ladies who aren’t racing next week suggested we go out in a coxless quad. I was adamant that we couldn’t do any major work which made me their favourite rower. Im guessing they’d either had a heavy Saturday night or its been a bit full on recently! Once we’d taken the boat out and placed her on the water, I was put at stroke with M coaching, steering and rowing at bow. Rather her than me! We set out and I couldn’t help but smile during the 500m warmup as it felt like I’d never been away. It felt so natural although my muscles were starting to wonder what I had planned. We did a light 2k down to the local campsite with M making calls to ensure we were working together and not rushing the slide. She also called for a couple of handbrake turns as we got a little close to the bank on a couple of occasions! The boat was fairly balanced and although I was acutely aware that my flexibility as I head to the catch is severely lacking, overall I was really pleased to be able to continuously row for that distance. We turned and headed back for another 2k, a bit of work on the legs but not much. I found myself desperate to push the rating up as we’d been sat at a steady 16-18 and try some work, but common sense prevailed. As we went past the clubhouse one of the men shouted out at me, obviously thrilled to see me back in a boat. We did some technical work and I must admit it was the happiest I’ve felt in a few weeks. Watching the blades slice into the glass ceiling of the river, rudely disturbing it’s calm facade, on a crisp, sunny (by the end!) Sunday, felt perfect. My plan to be back fit for Sprint season has been given the boost that it needed. I’m four weeks ahead of schedule with my recovery training, without pushing myself. I have a weekend off next week as I head back to Gloucestershire for a long weekend on Thursday, but before then I plan on some core and flexibility work. The long road ahead now appears to be lined with tree’s, pretty flowers and a fantastic view. A much brighter prospect than my first attempt to train just two weeks ago.